If we want to be a trusted and accepted, our reputation becomes an important. Most of us do not want to be seen as cheaters, and therefore ostracized, so we cooperate and are generous with others to boost our reputation. These social affiliation needs underlie many pro-social behaviors, including honesty, cooperation, reciprocity, obedience, and altruism. In contrast, shame, guilt, embarrassment, humiliation, and other similar experiences are pro-social emotions that help prevent or control inappropriate behavior and encourage moral conduct. By feeling guilty when we do something wrong, we can learn to apologize and choose different behavior in the future, helping to ensure that we are accepted. The feeling of guilt is often expressed socially with submissive behaviors. During the shaming experience of submission, fear is triggered. Shame signals the adrenal gland to release cortisol, the primary stress hormone, leading to increased heart rate and the flooding of major muscles with glucose — all physiological reactions to threat. The conundrum of shame is that it is designed to improve social relationships, but instead, when used in extremes, can block human connection. In contrast, vulnerability, or an ability to tolerate our own fears of unworthiness, is the best way to build closeness in relationships. Rumination about past mistakes is a way for our brain to try to learn from these errors. For many people, this over-thinking can lead to repeated self-criticism, resulting in anxiety or depression. This tendency to over-think to attempt to be safe and to be fearful of shaming experiences is especially prevalent in those who have been exposed to trauma (Factor #4) or lack secure attachment (Factor #5). While the need for social belonging (Factor #2) has its roots in an instinctual drive to survive, too many people today have been raised to rely on social approval far too heavily for a sense of their self-worth. Many people look externally for acceptance and have very little intrinsic self-acceptance. When they define themselves by the approval of others they are at the mercy of others for their self-worth. These emotionally dependent people are especially afraid of being cast out, giving them a nearly insatiable need for acceptance and approval. A perfect storm of factors can combine to cause emotional and behavioral problems. Finding acceptance and avoiding ostracism are natural, primal elements of our social nature as humans (Factor #2). And when we are afraid, we react with “fight-or-flight” fear responses (Factor #1), even if those fears are only caused by an emotional threat, such as criticism or humiliation (Factor #3). 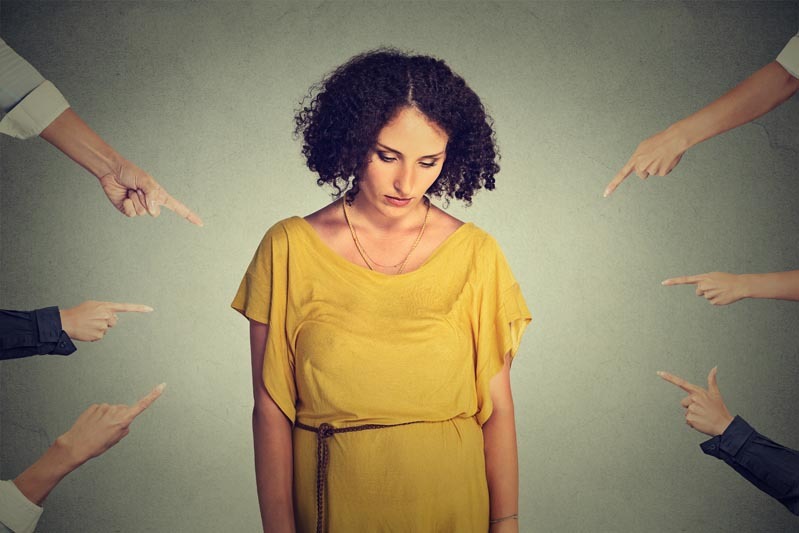 If a person lacks strong self-worth and has a weak sense of social belonging due to insecure attachment (Factor #5), even minor or perceived criticism may be viewed as a threat and may trigger a primal fear response (Factor #1). Trauma (Factor #4) is fear-provoking (Factor #1) and can be shaming (Factor #2) if the victim assumes responsibility for the event. Combined, these primal feelings and behaviors are the cause of most of our modern psychological and behavioral problems. Most of the diagnoses in the DSM are actually descriptions of a person who is hyper-vigilant to being emotionally shamed, victimized, or rejected by others. 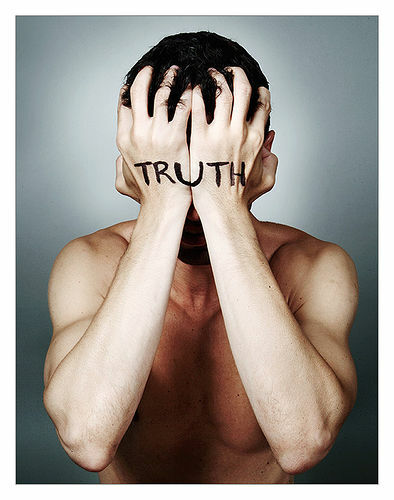 The “personality disorders” are largely behaviors that could be described as Other-Blaming. 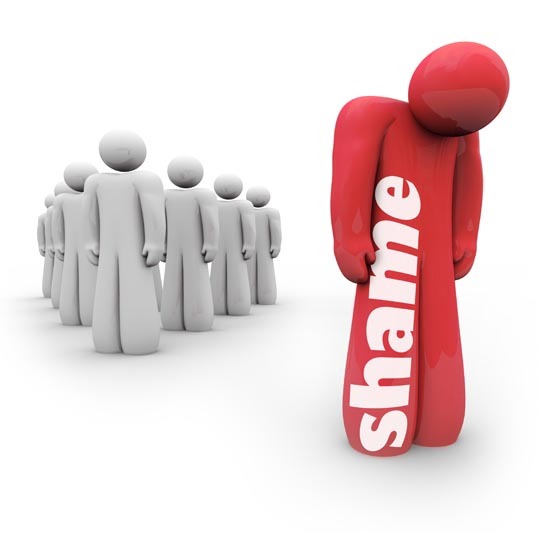 The topic of shame is essential to understand as it relates to self-acceptance. Consider that the normal social behaviors associated with shame are abject slinking away, lowering the eyes, and submissive postures. When we are embarrassed we tend to remove ourselves from contact with others. But when the source of shame is your very self, it is impossible to escape. This creates an untenable situation that provokes a chronic sense of anxiety or fear. It is clear that what we label as depression, anxiety and other related “disorders” are directly related to the experience of self-shaming.